When you need immediate care for non-life-threatening illnesses and injuries, FastMed is ready to help. You don’t have to try to schedule an appointment at a doctor’s office, or wait for hours in the emergency room to get the immediate care you need. FastMed’s newest state-of-the-art walk-in clinic in Hickory, NC, is open 365 days a year. Immediate care is not the same as emergency care at a hospital. 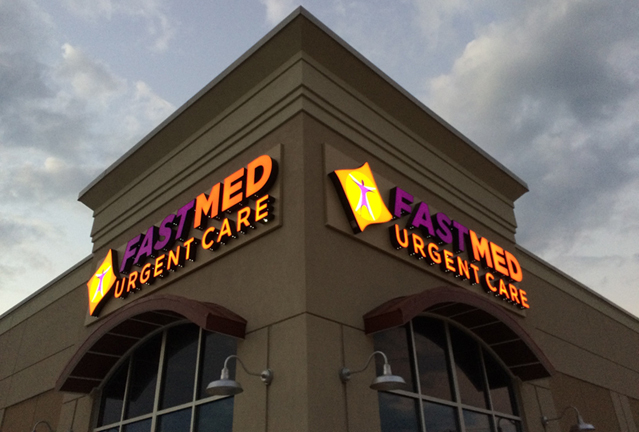 An urgent care, like FastMed in Hickory, NC, treats non-life-threatening illnesses or injuries. If your situation is severe, and you feel like your life might be in danger, call 9-1-1 and get to the hospital immediately. FastMed has an interactive tool that can help you determine when to visit the emergency room vs. an urgent care clinic. FastMed’s staff is trained in adult and pediatric urgent care. Our modern walk-in in clinics have on-site labs, digital x-rays, and EKG equipment. We can diagnose and treat your injury or illness quickly and cost efficiently, saving you time and money. If one of our FastMed medical professionals recommends further testing or the care of a specialist, we will call ahead to set up the appointment and forward your digital X-rays and electronic records. FastMed is an affordable and convenient way to get immediate care when you are not facing a life-threatening illness or injury. If you live in Hickory, NC, visit our clinic located at Conover Boulevard West and Startown road to be seen today.